We’re bringing over the raw event data and information on the people who attended; you can generate reports in Salesforce that will pull all your desired different combinations. It’s the same system you’re familiar with, with a twist: all Localist data will be searchable and reportable without requiring a heavy lift from your IT team. It’s a seamless integration that removes technical barriers from the desired marketing outcome. Contact our team to learn more. The Localist Cvent integration allows for the transfer of Cvent events to Localist. No need for duplicate entry. Contact our team to learn more! 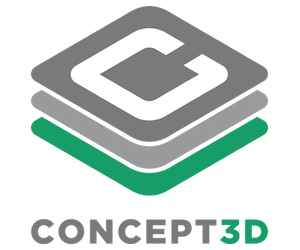 If your organization utilizes Concept3D maps, they can be used in tandem with with Localist landing pages. Concept3D maps can appear on any landing page that utilizes a map! Contact our team to learn more. This integration allows for event admins and partners to create events in the Simpleview interface and have them feed over to the Localist event calendar. Contact our team to learn more!